1.1. What is Technical Debt? 1.2. What Constitutes Technical Debt? 1.3. 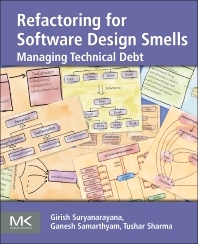 What is the Impact of Technical Debt? 1.4. What causes technical debt? 1.5. How to Manage Technical Debt? 2.1. Why Care About Smells? 2.3. How to address smells? 2.4. What Smells Are Covered in This Book? Ganesh Samarthyam has more than 11 years of experience in the IT industry. 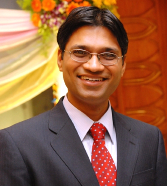 He is an independent consultant and corporate trainer based in Bangalore, India. Earlier, he worked for the Software Architecture and Development team in Siemens Corporate Research & Technologies in Bangalore. His work involved providing consultancy to development teams on code and design quality, pursuing applied research in the areas of software design, and conducting trainings on topics related to software design and refactoring and quality-driven development. Prior to Siemens, he worked in Hewlett-Packard's C++ compiler team for 5 years where he also represented HP in the ANSI/ISO C++ standardization committee. He is an IEEE-certified Software Engineering Certified Instructor (SECI) and regularly conducts training for the IEEE SWEBOK Certificate Program (SCP) and IEEE Certified Software Development Associate (CSDA) program. He has also helped contribute course material for the IEEE’s SWEBOK Certificate Program (SCP). 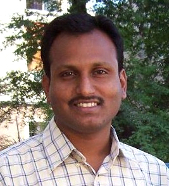 Ganesh has authored/co-authored several books on programming. 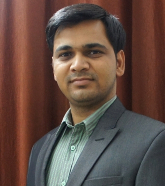 His latest book titled "Oracle Certified Professional Java SE 7 Programmer Exams 1Z0-804 and 1Z0-805" (co-authored with Tushar Sharma) has been published by Apress in 2013. In his free time, he also regularly contributes to a column on software programming and design in “Open Source For You” magazine. His areas of interest include design smells and refactoring, bug patterns, software quality assessment methods, and programming languages. He can be reached at sgganesh@gmail.com. Technical Expert at Research and Technology Center, Siemens Technology and Services Pvt. Ltd.